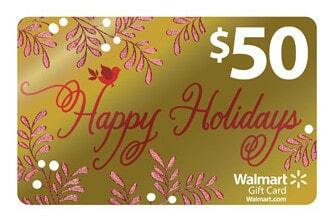 WalMart and Flatout Bread have teamed up to provide you with a little help with your holiday shopping this year. They’ve provided me with a $50 gift card to giveaway to one lucky reader! Flatout’s new Flatbreads Artisan Pizza has quickly become one of my favorite go to quick pizza crusts. It’s low in calories, delicious and so thin and crispy! We just made these Thai Flatbread Pizzas the other day, and I can’t wait to make more creative pizzas with them. Still thinking about what to get who and what’s on the menu for this holiday? You can find the Walmart Holiday Guide (featuring Flatout Artisan Thin Crust Flatbreads and a recipe for Crispy Bacon Tomato Flatbreads on Page 2) here. For more holiday inspiration, visit the Walmart Holiday Entertaining Pinterest Board, where you can find lots of fun ideas. For a chance to win a $50 WalMart Giftcard, just leave a comment below telling me your favorite pizza toppings. This giveaway sponsored by WalMart. There are entirely too many LOL Mushrooms, Olives, Mozzarella, Fresh Tomatoes, Basil. Sigh now I want a pizza. I like extra cheese and ham. I like pepperoni with extra cheese! I love onions and feta cheese! Mushroom, green pepper, cheese and kale. I usually get the “supreme” type of pizza w/ all sorts of toppings, but it’s not a pizza for me unless it has mushrooms on it. I like black olives, mushrooms & eggplant. Mushrooms, fresh basil and tomatoes – yum! My favorite is thin crust pizza with pear, goat cheese and a little bacon, topped with arugula after baking. So good! Sausage, green peppers and onions, yum! I just love fresh tomatoes, fresh basil, and fresh mozzarella. sausage, mushrooms, onions, & pepperoni! Italian sausage mushrooms and spinach! I love mushrooms, red peppers, artichokes and eggplant – veggie pizza is great. I love the classic pepperoni and cheese! My favorites are pepperoni, pineapple and onion with extra sauce. Hmmm now I’m hungry! i love pepperoni and extra cheese! I like pizza with everything on it~gotta have extra cheese too! I like pepperoni and mushroom–and fresh basil. Thanks! I’m a traditionalist, I like just high quality mozz with a bit of parm! Mashed potatoes, tuna and corn. My favorite pizza toppings are pepperoni, sausage, mushrooms, onions, bell peppers and extra cheese. I love onions and olives! I love sundried tomatoes and mushrooms on my pizza! I like pepperoni, sausage, and black olives. My favorite pizza toppings are Pepperoni, black olives, banana peppers! Pepperoni all the way baby! Mushrooms, Black Olives and Extra Cheese! My favorite is mushroom, sausage, artichoke hearts and fresh tomatoes.